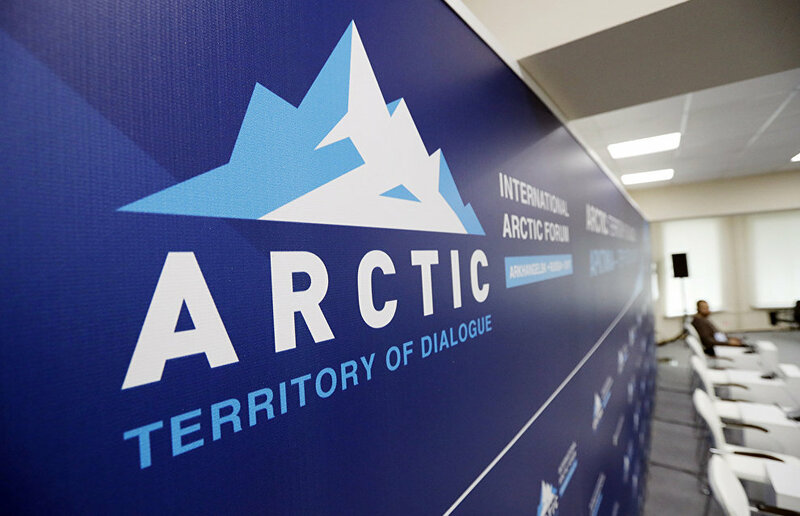 The business program of the 5th International Arctic Forum, The Arctic: Territory of Dialogue, was posted on the forum's website. The event will take place in St Petersburg on April 9 and 10, 2019. The main theme of the forum is "The Arctic: An Ocean of Opportunity." The business program is divided into three main sections: Coastal Regions, The Open Ocean and Sustainable Development. Youth Day will be held on the eve of the opening day of the forum. "The development of the Northern Sea Route is Russia's key economic project in the Arctic," said Presidential Adviser Anton Kobyakov. "I believe the forum will help us find effective solutions to the issue of increasing the cargo volume from 20 million tons to 80 million tons over five years." Participants in the Coastal Regions sessions, panel and roundtable discussions will discuss, among other issues, a new system of priorities for investment projects in the Arctic, measures to support small and medium-sized business and the introduction of digital technologies in the region, plus new-generation healthcare in the Arctic, as well as development of aviation and the potential for tourism in the area. Representatives from Sweden, Finland, Norway and Russia will meet at the Talking Barents: Prospects and Formats for Cooperation international session, to discuss cooperation in developing and boosting the effectiveness of the transportation system in the Barents/Euro-Arctic region, as well as measures to protect the environment by creating green corridors. The Open Ocean section focuses on economic issues that are critical to the development of the Russian Arctic and are of serious interest to investors from the world's leading nations. The section covers the following topics: The Northern Sea Route — A Key to the Development of the Russian Arctic; Shipbuilding: Achievements and Innovations; Production and Use of LNG in the Arctic; Transport Connections between the Arctic, the Far East, Siberia and the Urals; Arctic Shelf Development: Potential and Risks; Developing Port Infrastructure in the north. One of the main events in this section, The Northern Sea Route — A Key to the Development of the Russian Arctic session, was organized with support from Rosatom Corporation. Speakers will include Minister for the Development of the Russian Far East Alexander Kozlov, Chair of the Federation Council Committee on Foreign Affairs Konstantin Kosachev, General Director of the Rosatom State Atomic Energy Corporation Alexei Likhachev, and others. Participants in the session will discuss how to boost the logistics potential of the Northern Sea Route, ensure safe year-round navigation and synchronize the development of the Northern Sea Route with the implementation of new investment projects in the region. The third section of the business program, Sustainable Development, will address social issues in the Arctic, which cover all the main aspects of providing support to people in the Russian Arctic and improve infrastructure that is of vital importance to life and work in the region. The topics will include: National Projects in the Russian Arctic: Implementation Mechanisms; The Arctic of the Future: Sustainable Solutions; Nature-Like Technologies for the Arctic; Applied Research in the Arctic; Dialogue Between Arctic Explorers; Training Arctic Development Specialists; and The Accessible Arctic: Standards, Safety, Environmental-Friendliness. Other events during the International Arctic Forum will include the Arctic Municipalities Forum and a meeting of the governors of the Northern Forum.